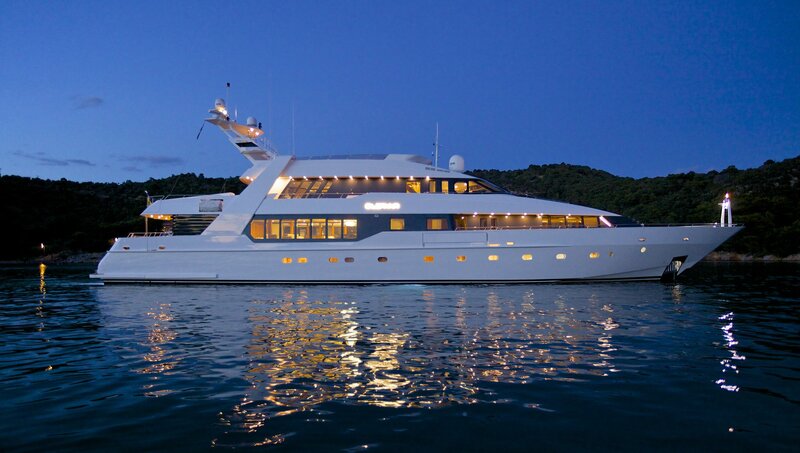 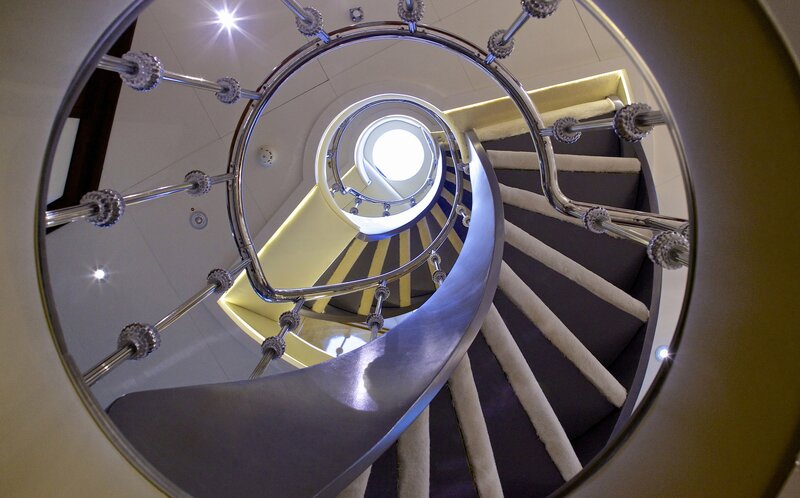 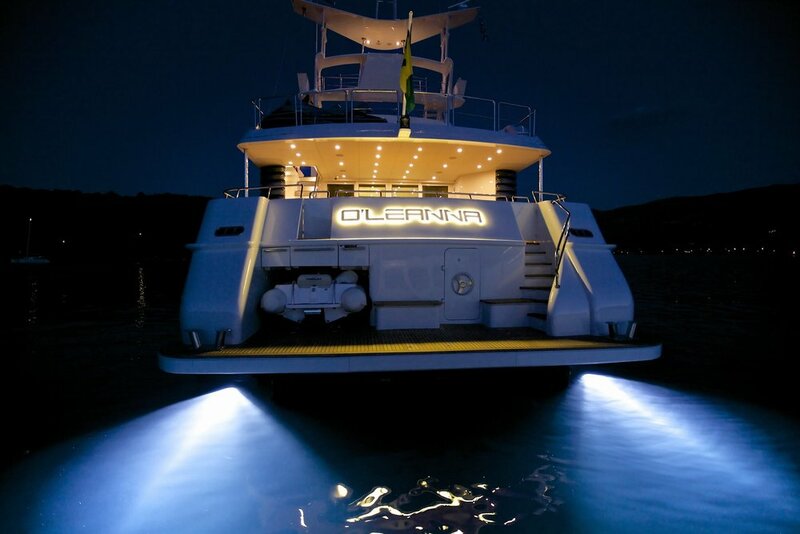 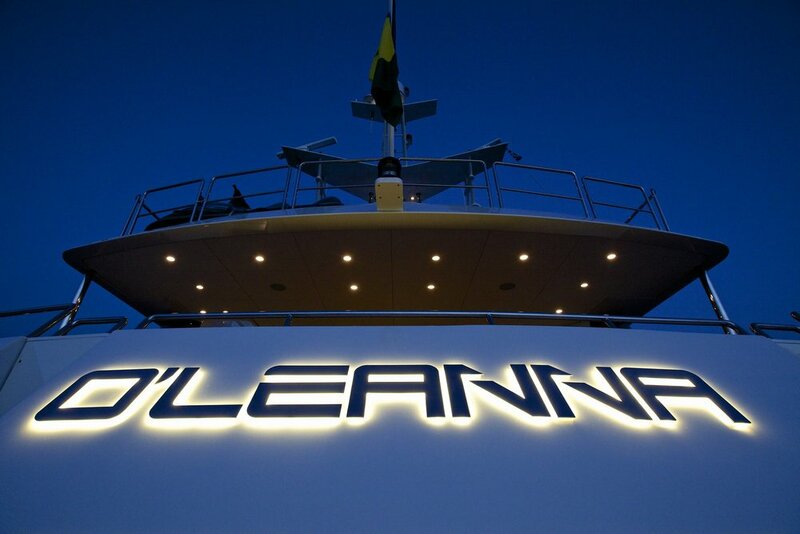 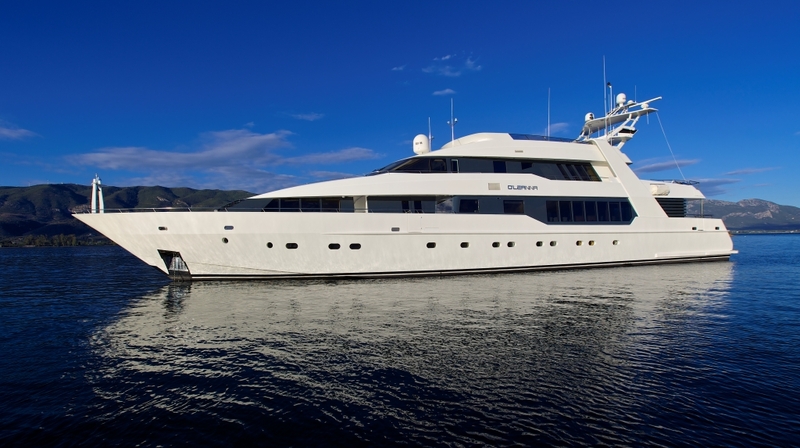 First launched in 1994, O'LEANNA is a beautiful superyacht that was completely rebuilt in 2007. 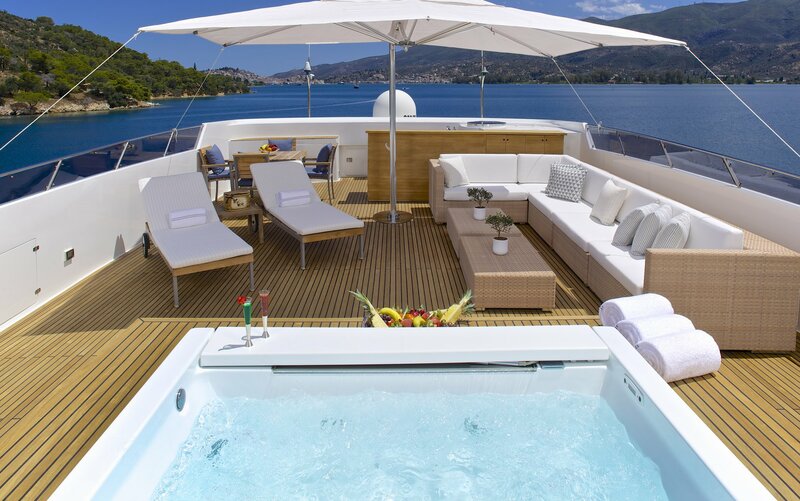 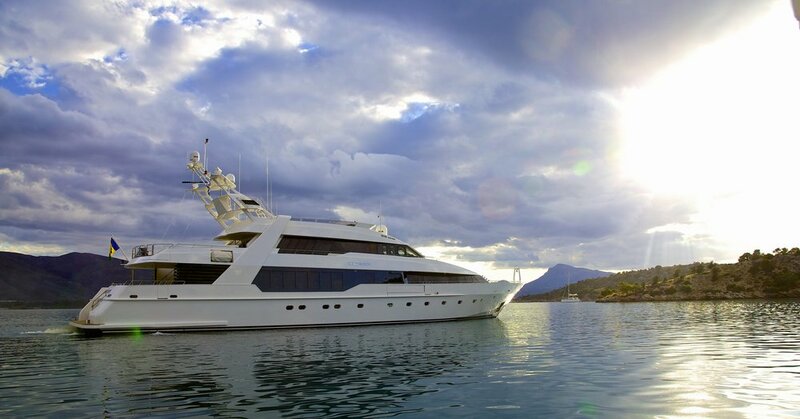 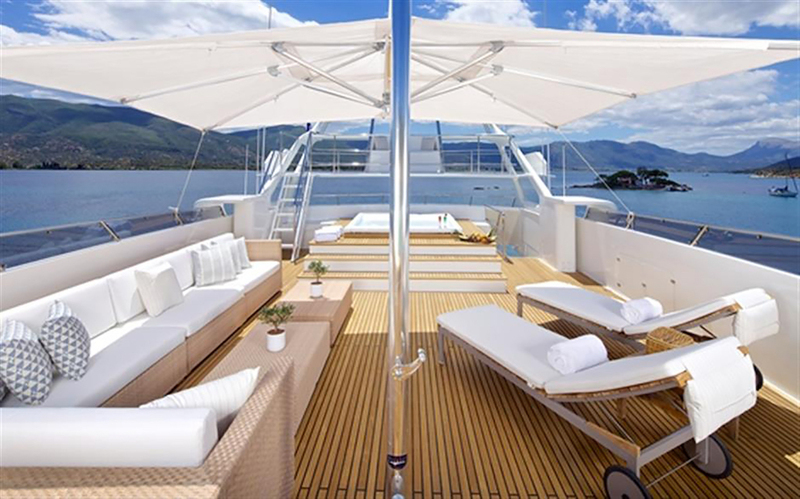 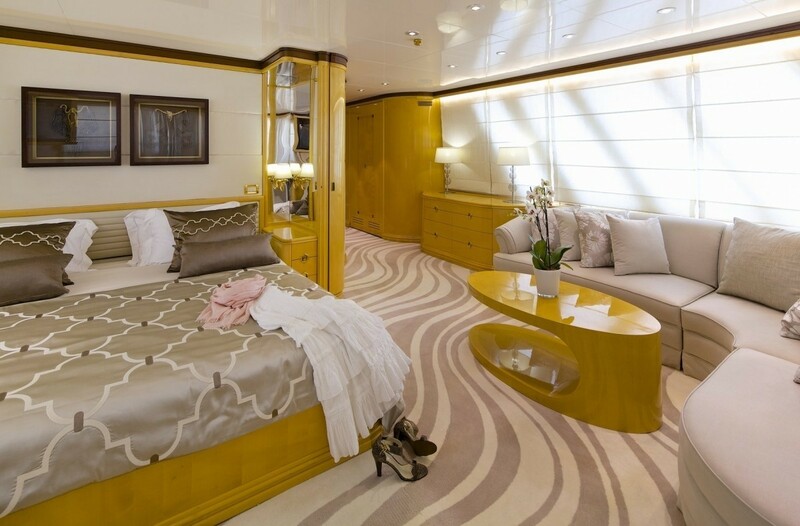 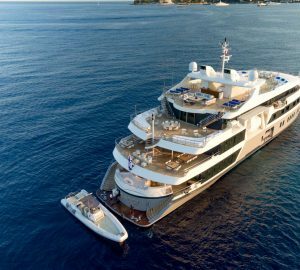 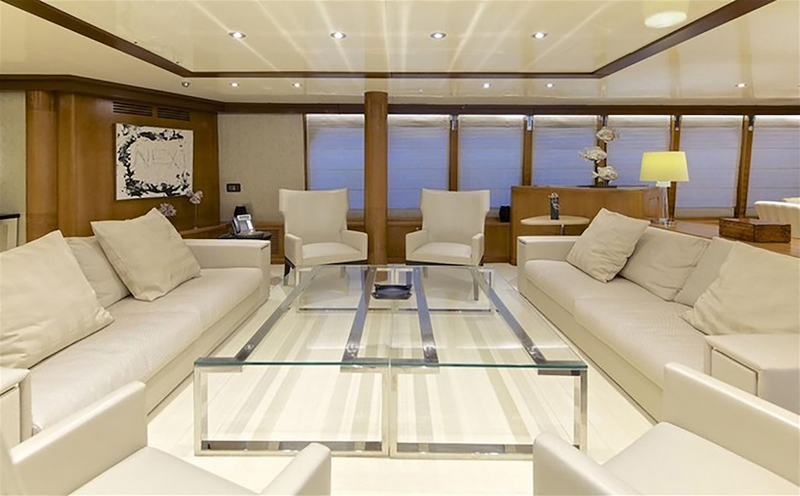 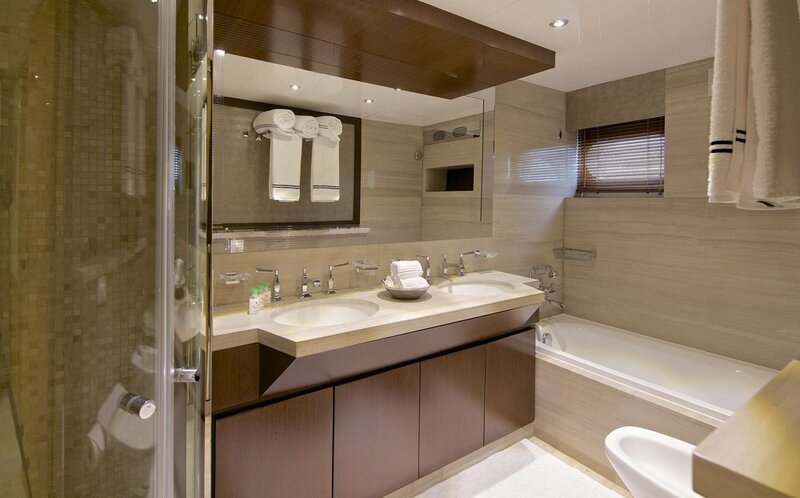 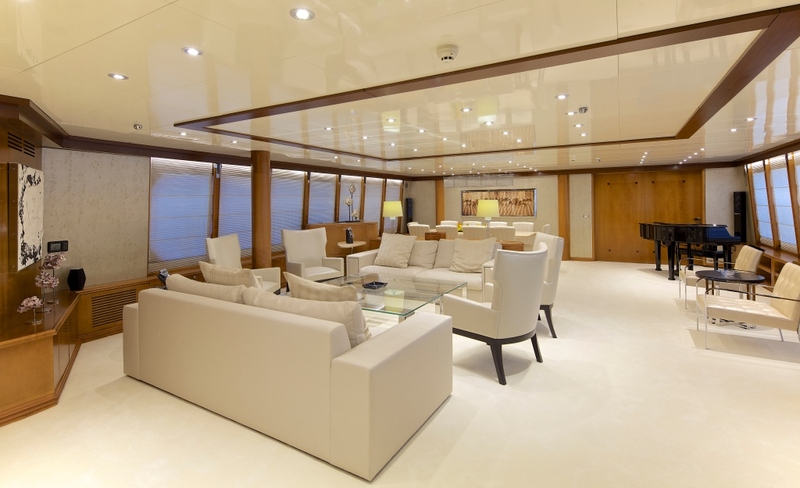 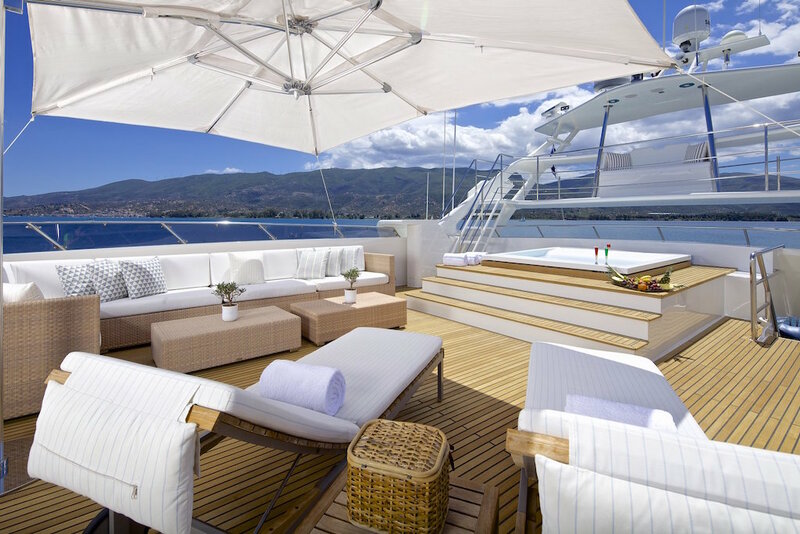 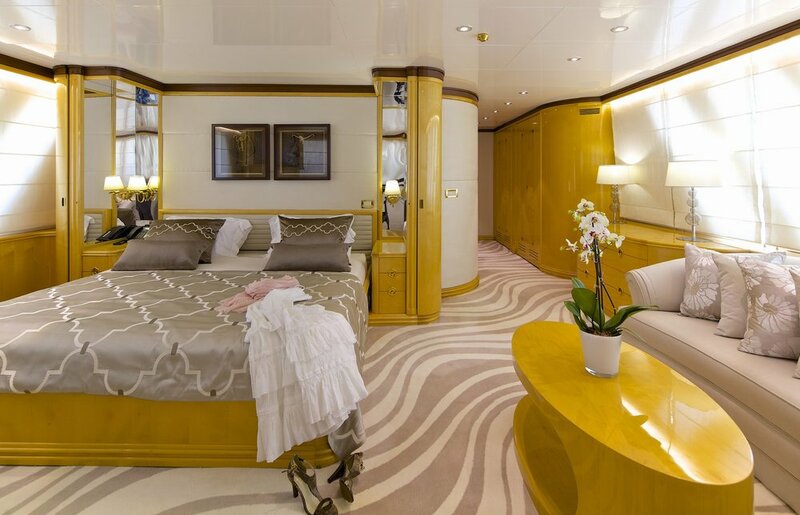 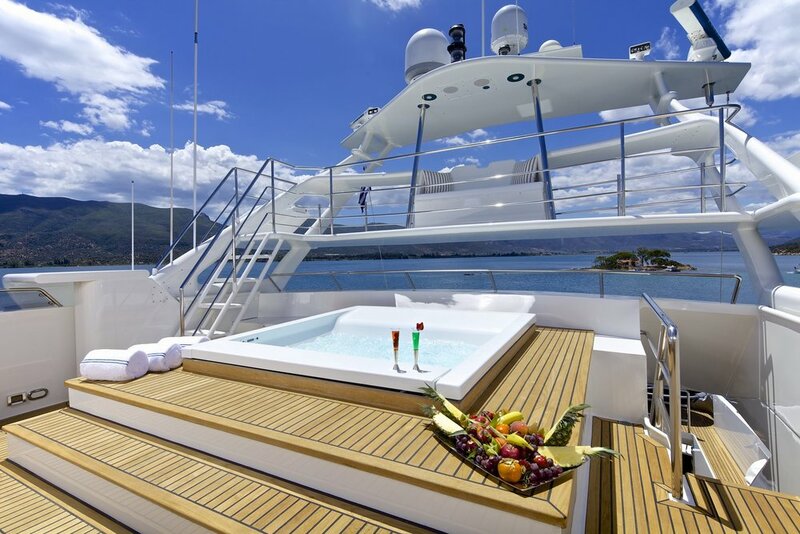 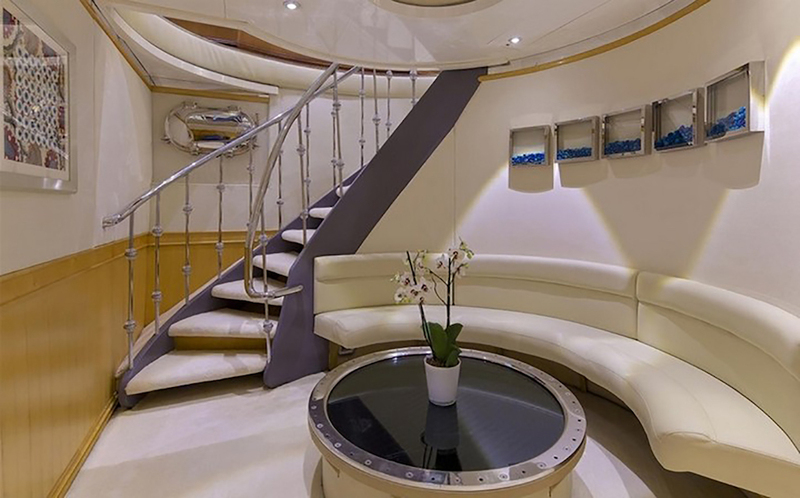 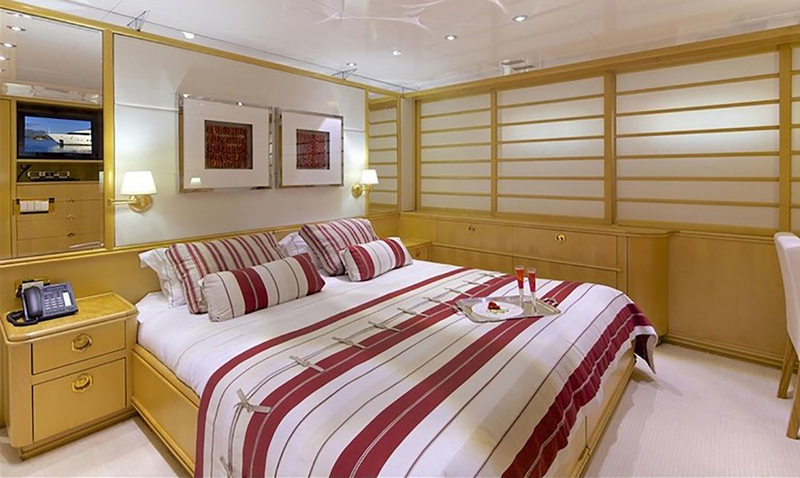 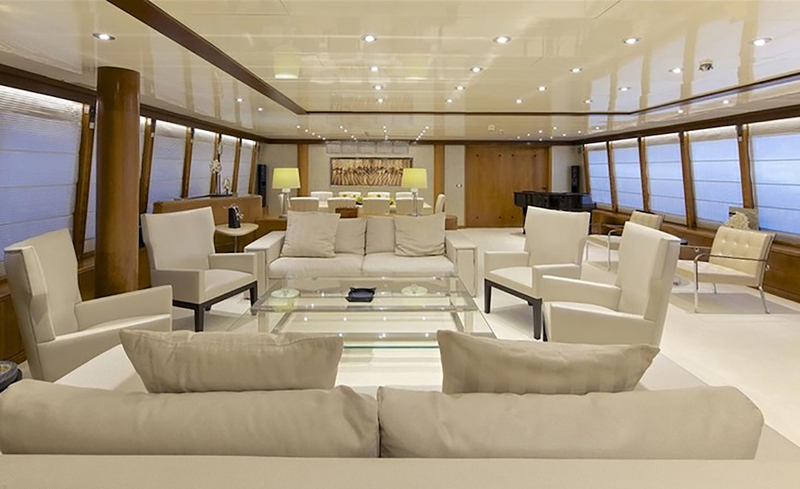 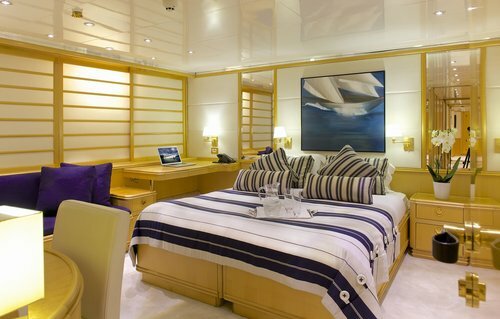 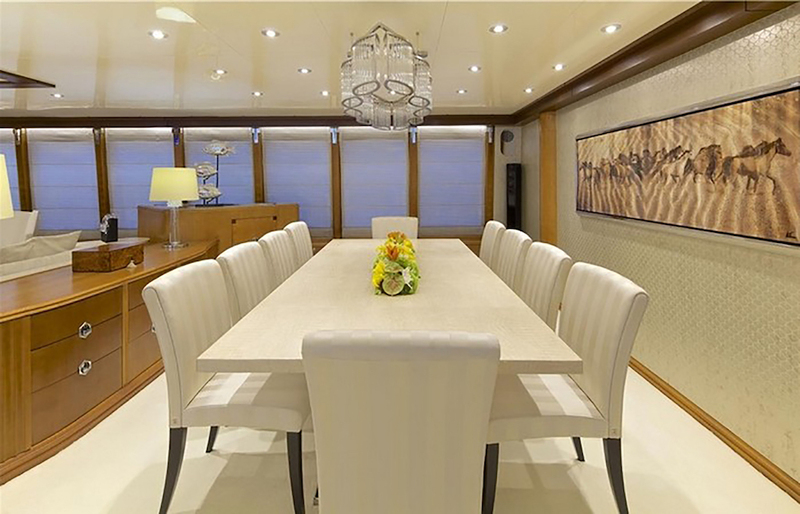 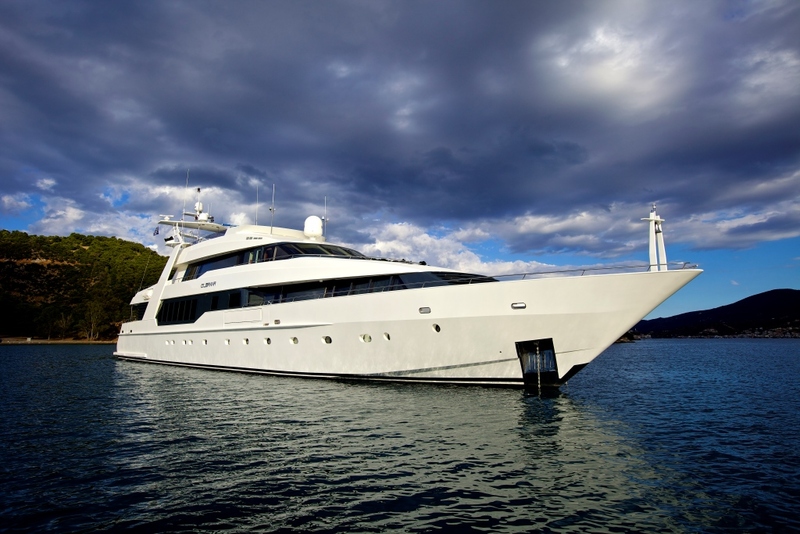 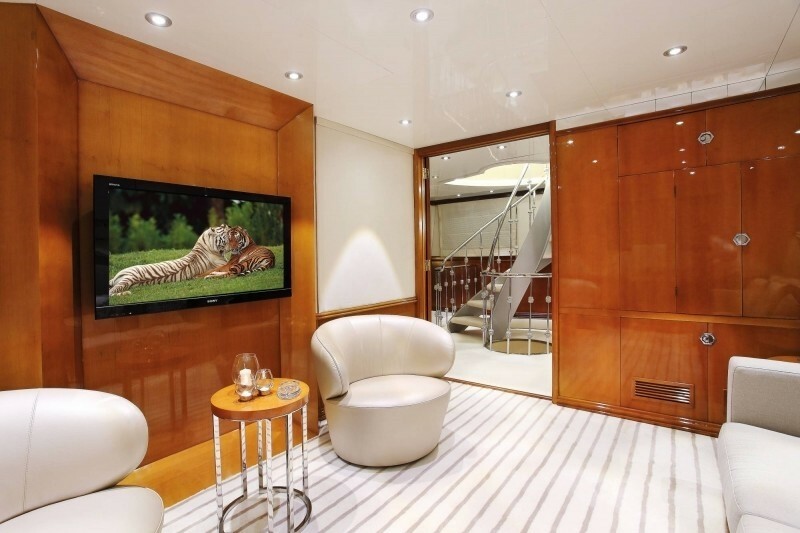 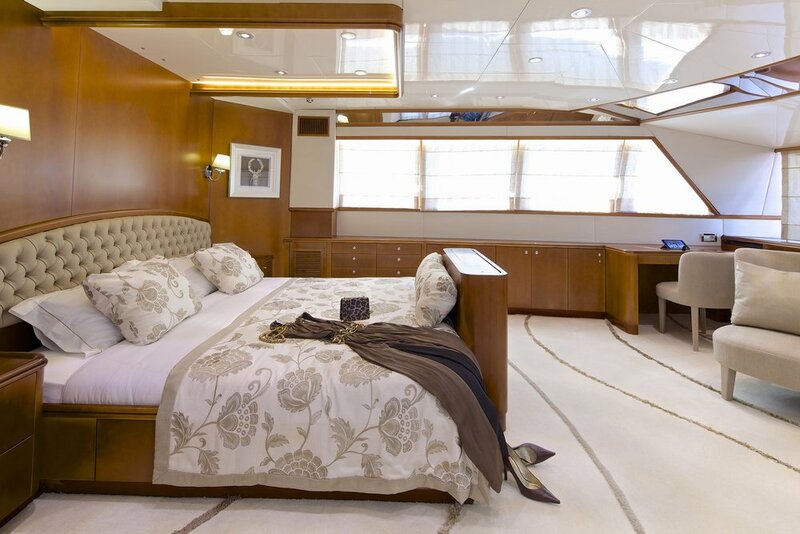 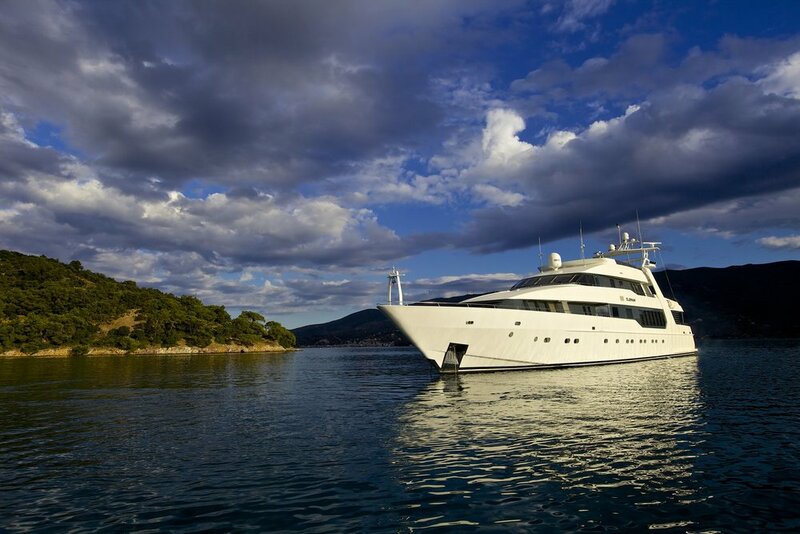 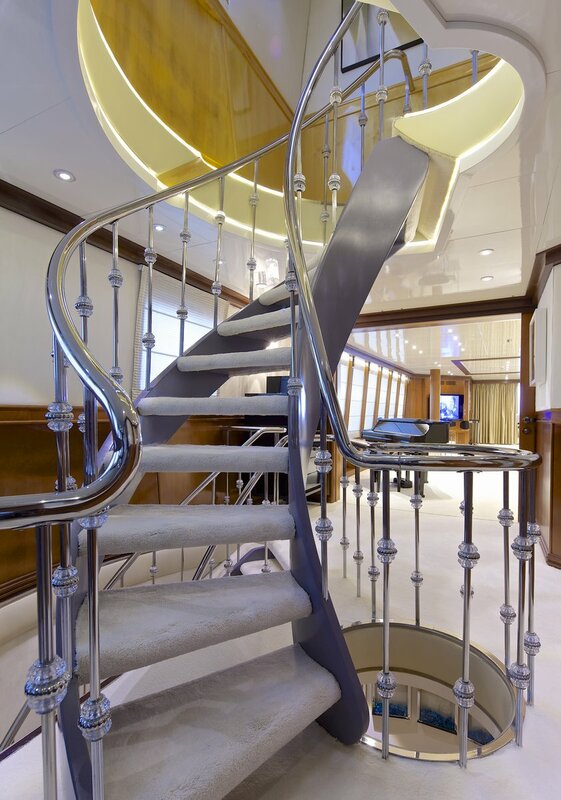 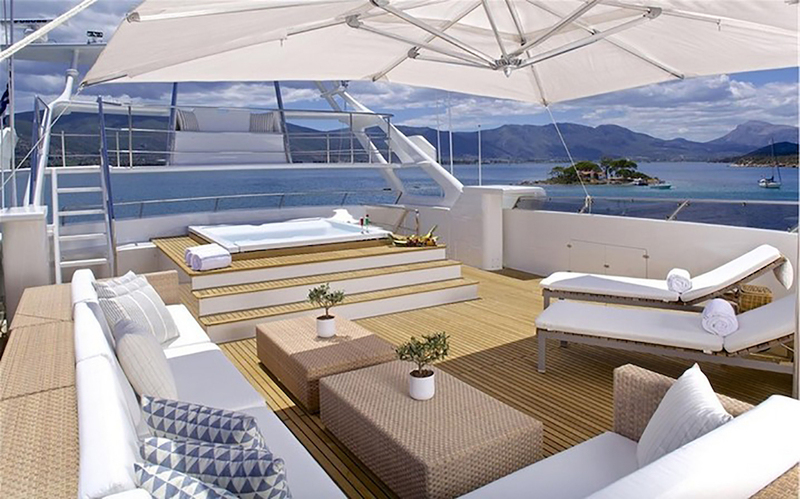 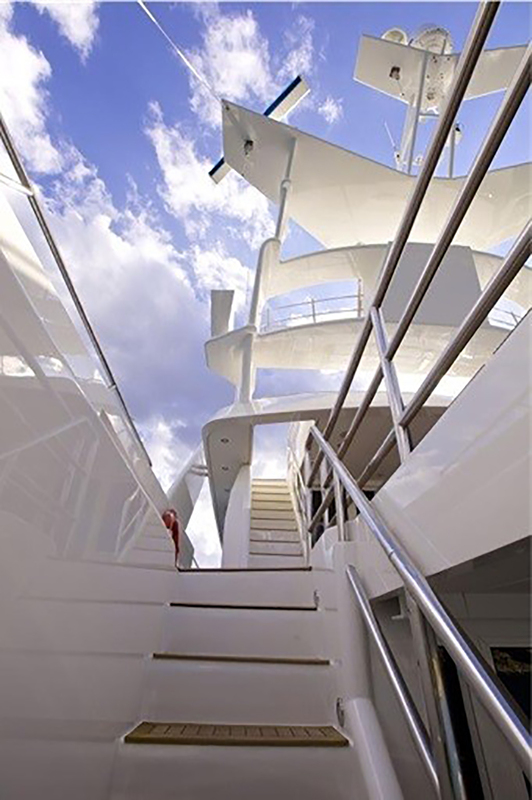 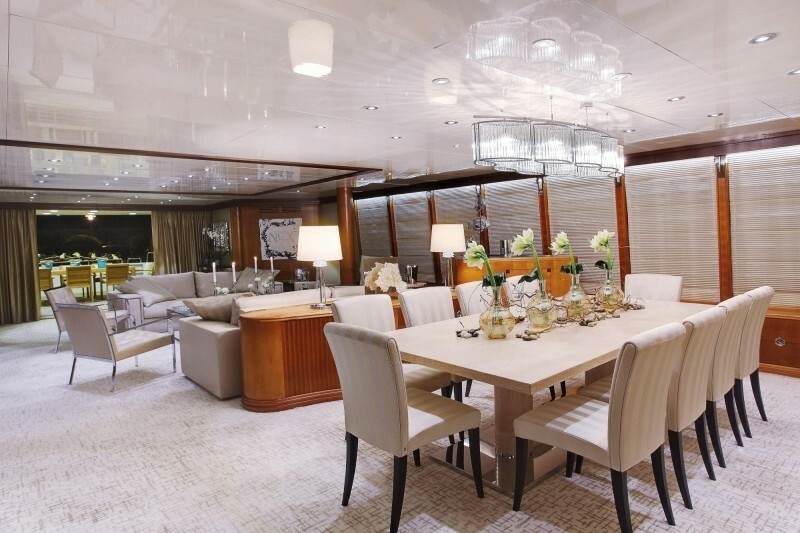 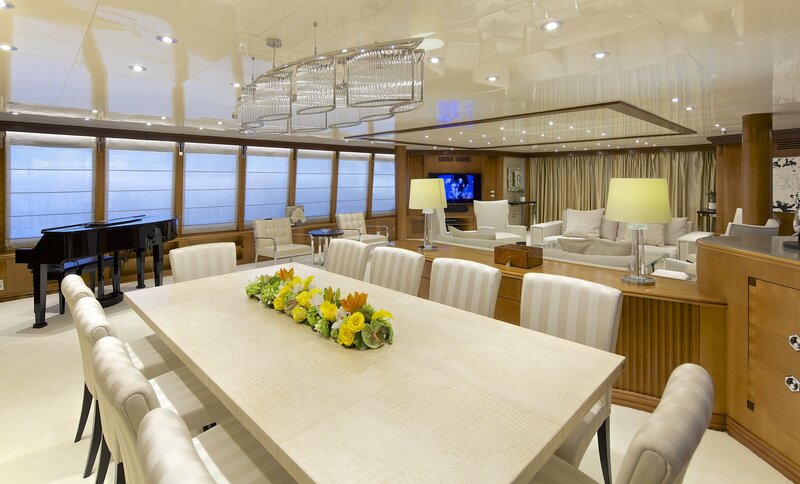 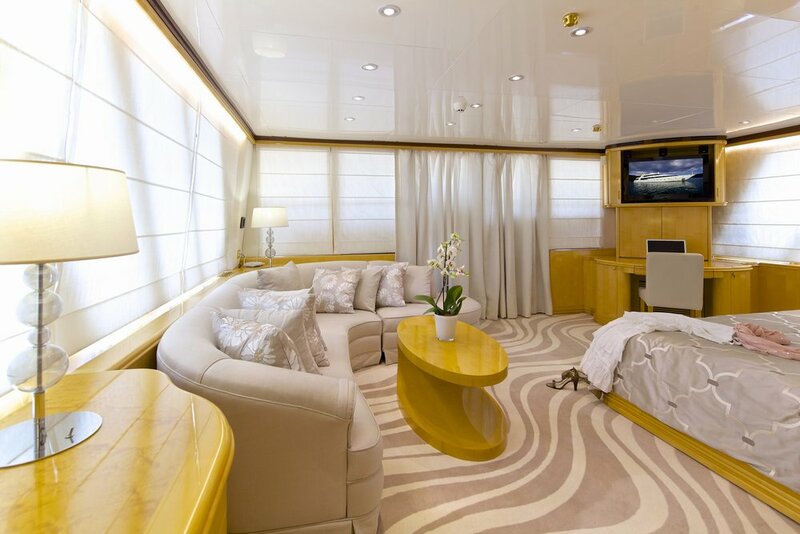 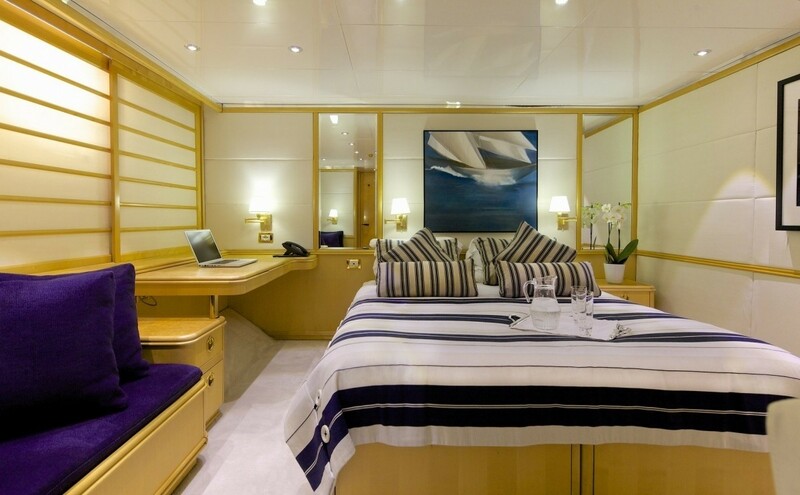 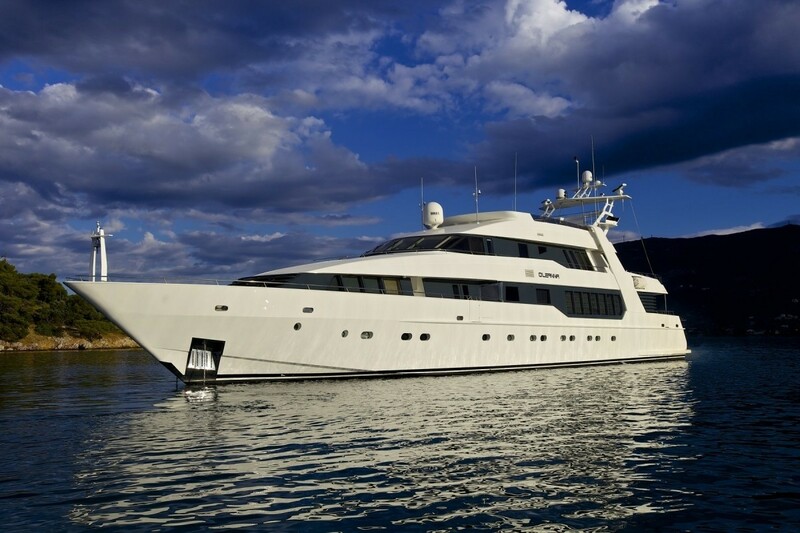 Measuring 44 metres overall, she features great living areas perfect for family and friends charter vacations. 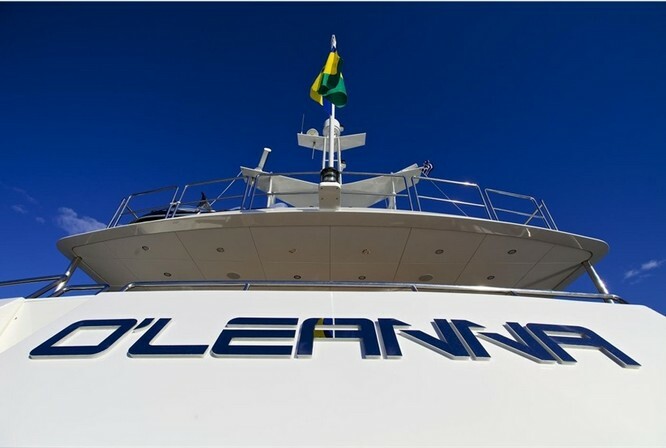 O"LEANNA received an extensive refit in 2015. 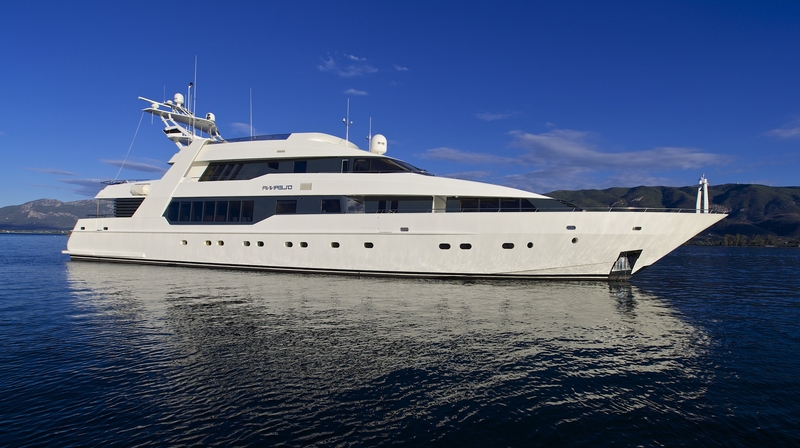 She has been maintained in great condition and offers accommodation for 12 guests. 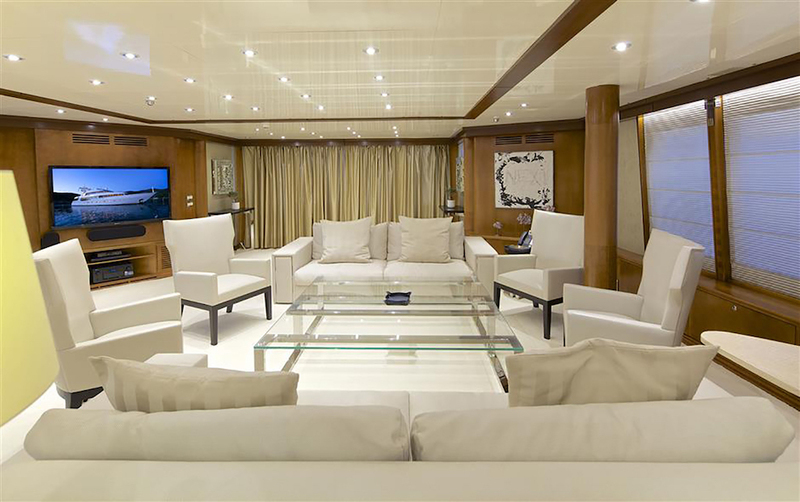 NOTABLE FEATURES: ~ Bright & airy interior ~ Vast outdoor spaces for sunbathing & lounging ~ Gym ~ Jacuzzi ~Water toys & tenders ~ State-of-the-art AV entertainment system. 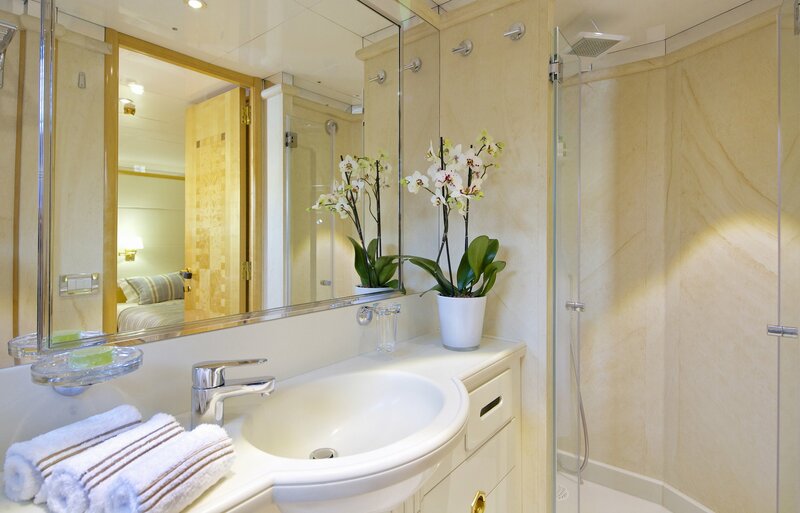 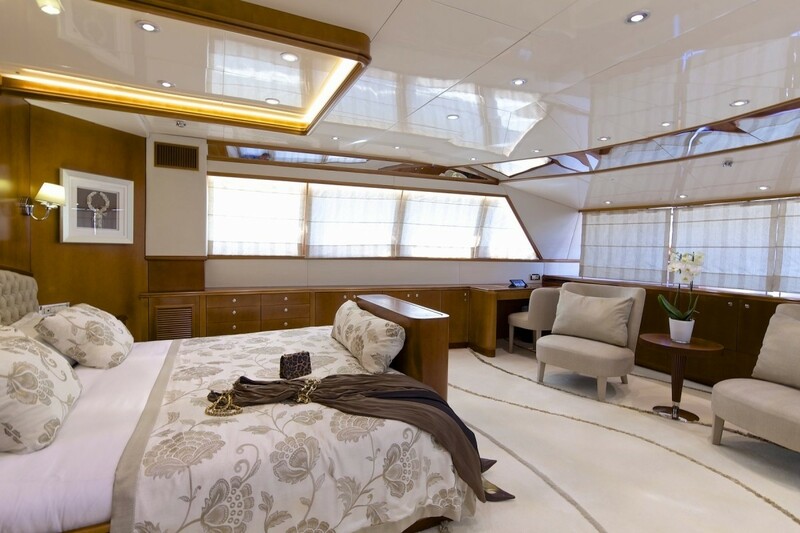 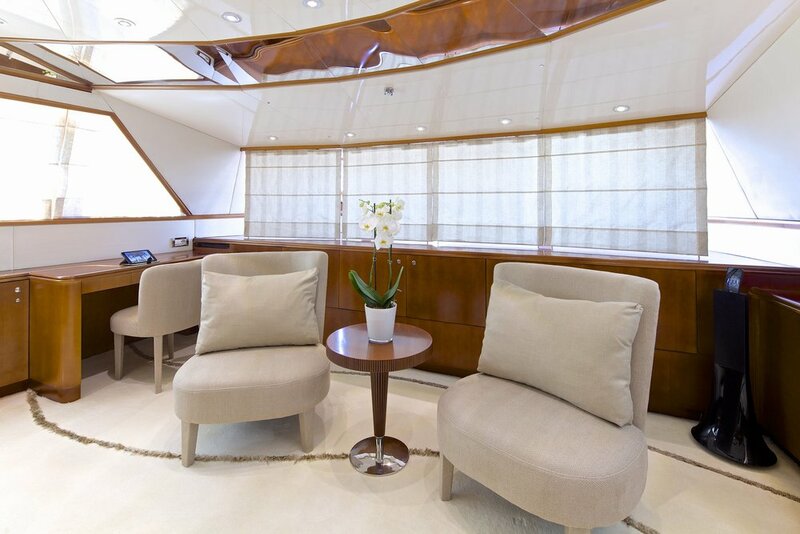 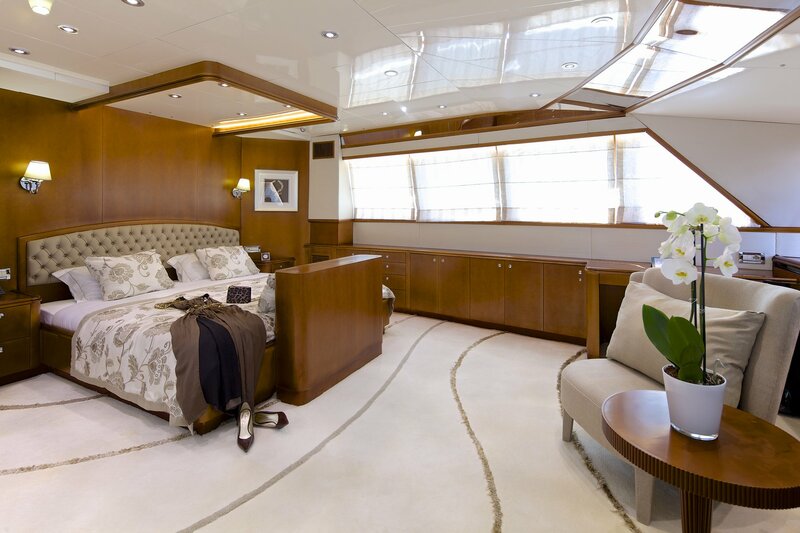 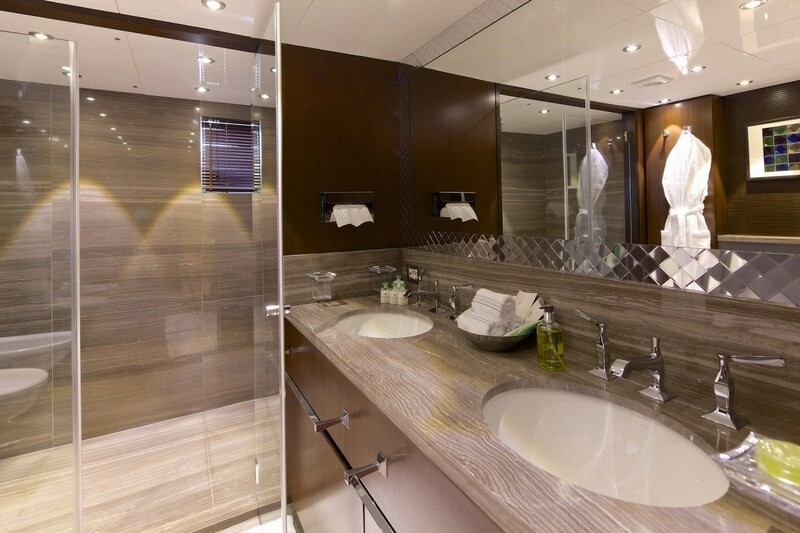 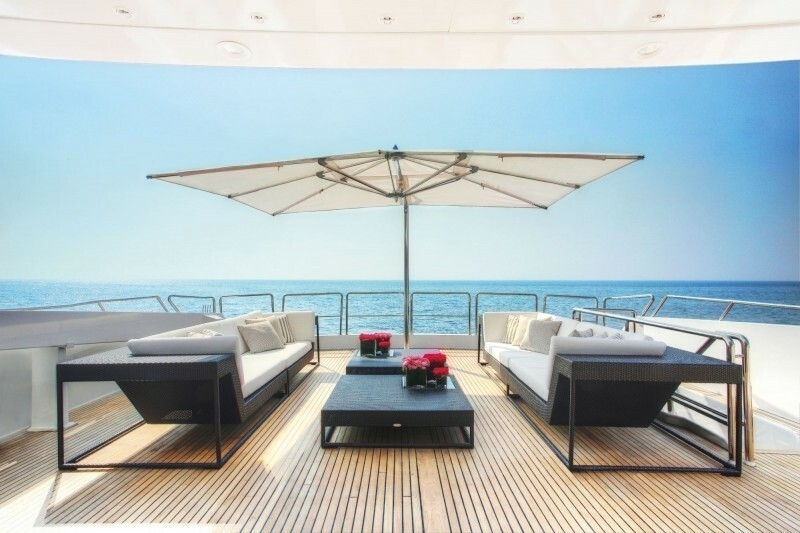 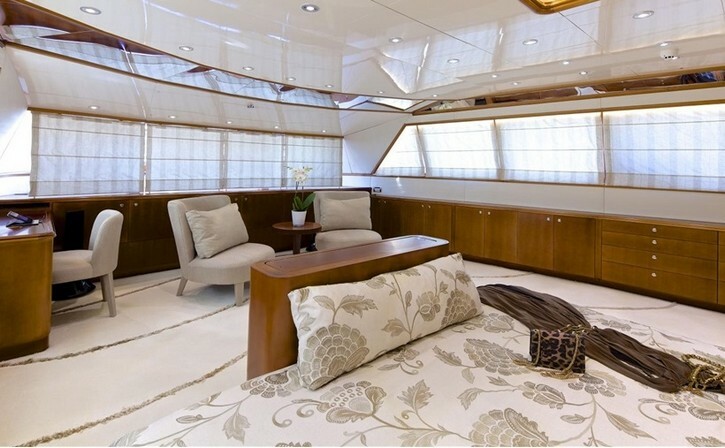 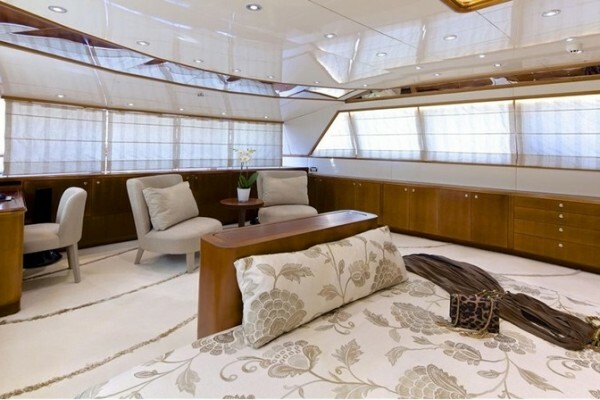 Tasteful and airy interior styling of the yacht creates a relaxing and calm atmosphere on board, while lavish Fendi furnishing adds to the truly luxurious ambience. 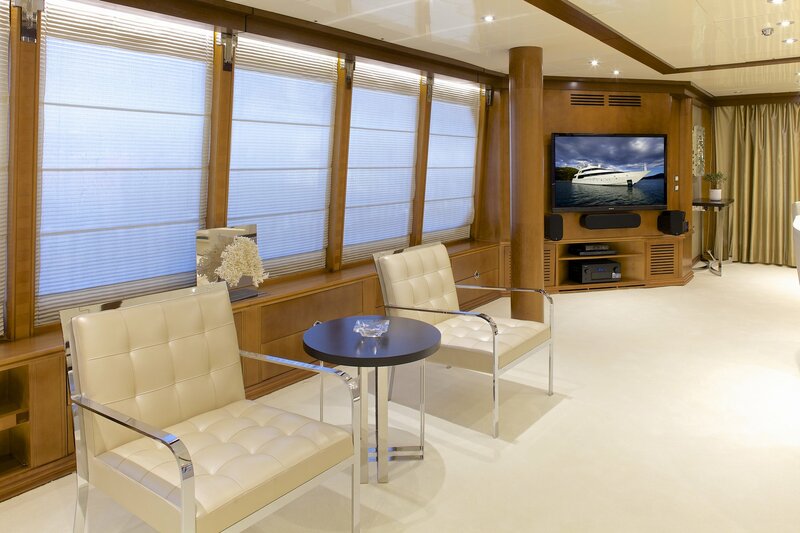 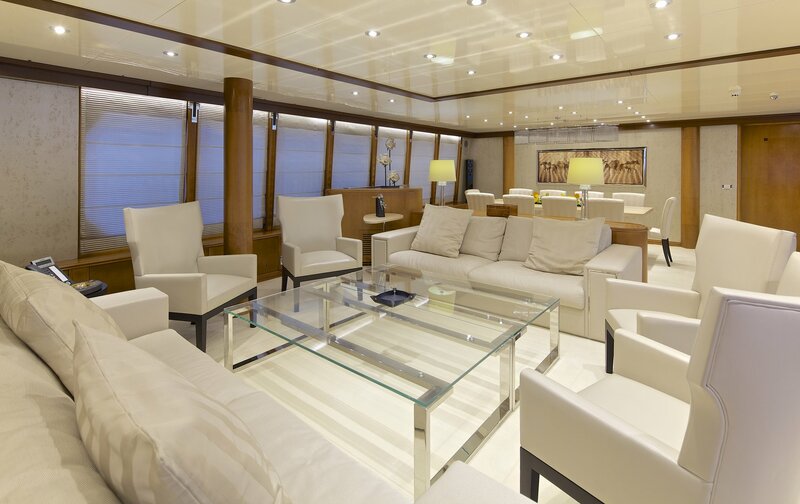 The main salon of considerable size is located on the main deck, where guests can lounge, dine and unwind after a day of adventure on the water. 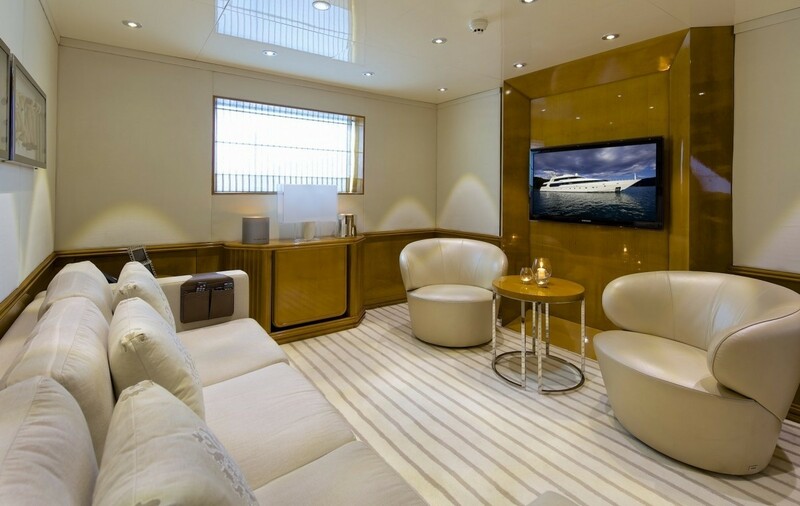 A more private and cosy TV lounge is a great place to have a quiet time watching a favourite movie or sitting back to relax on the soft sofas. The amount of exterior living areas is remarkable. 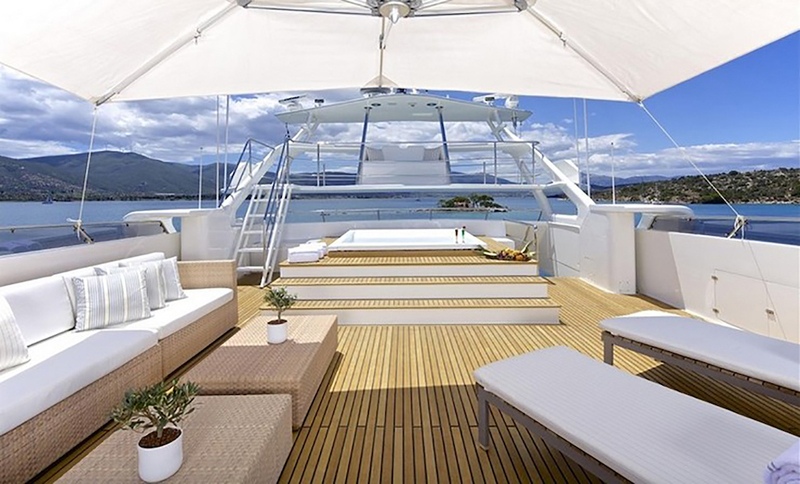 The top deck is the relaxation and recreation hub, as it hosts a massive Jacuzzi, sun pads, sun loungers and ample seating. 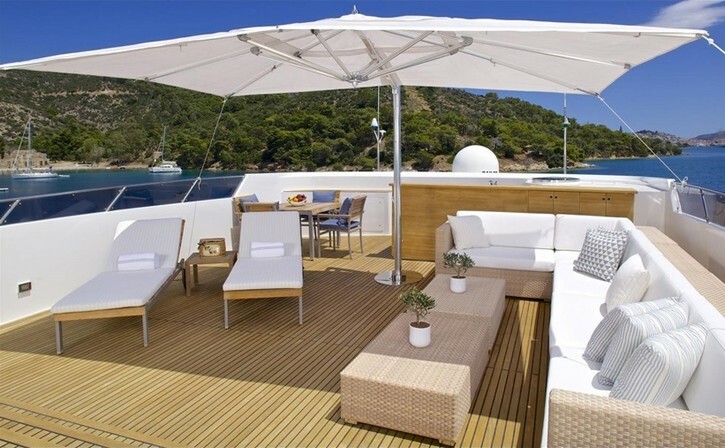 There is another sunbathing area on the deck below. 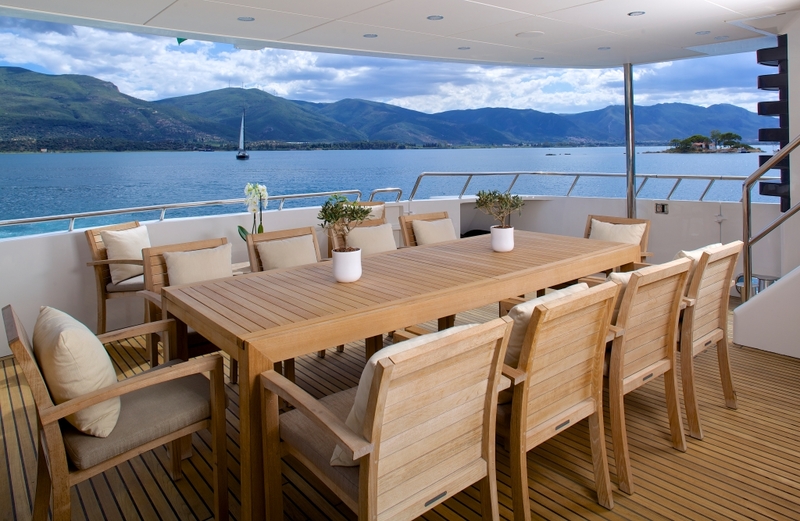 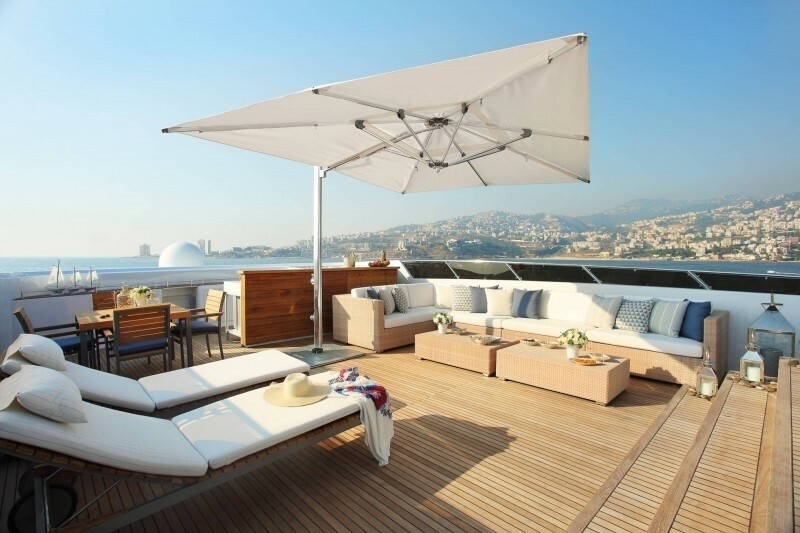 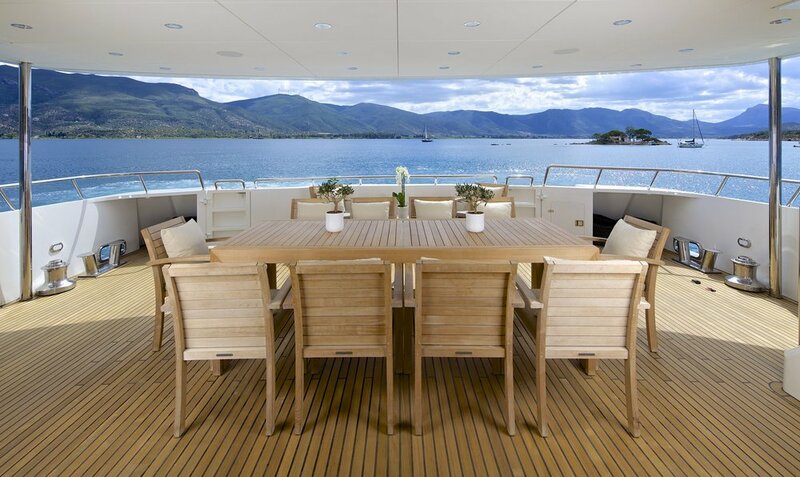 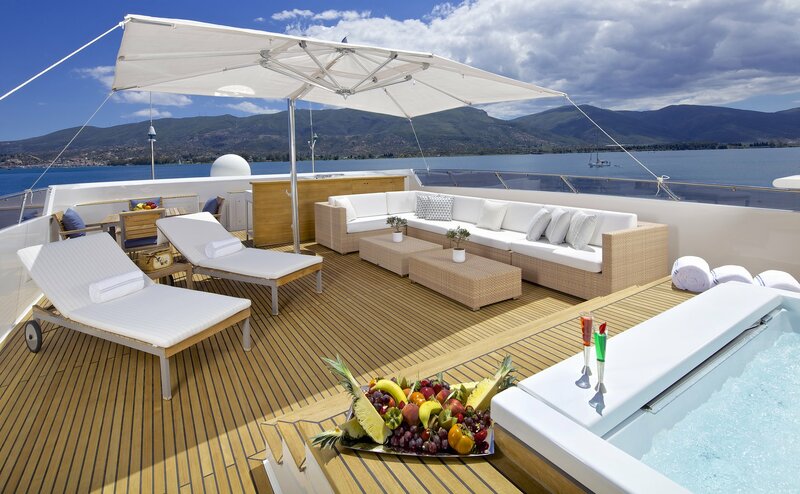 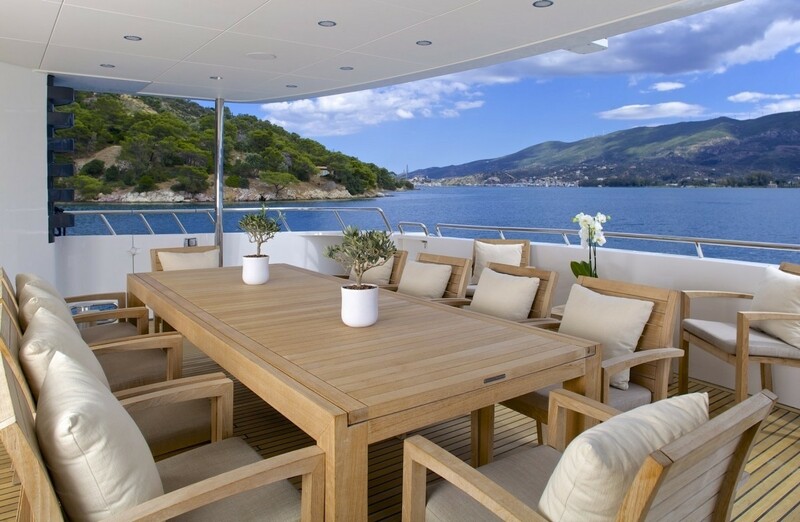 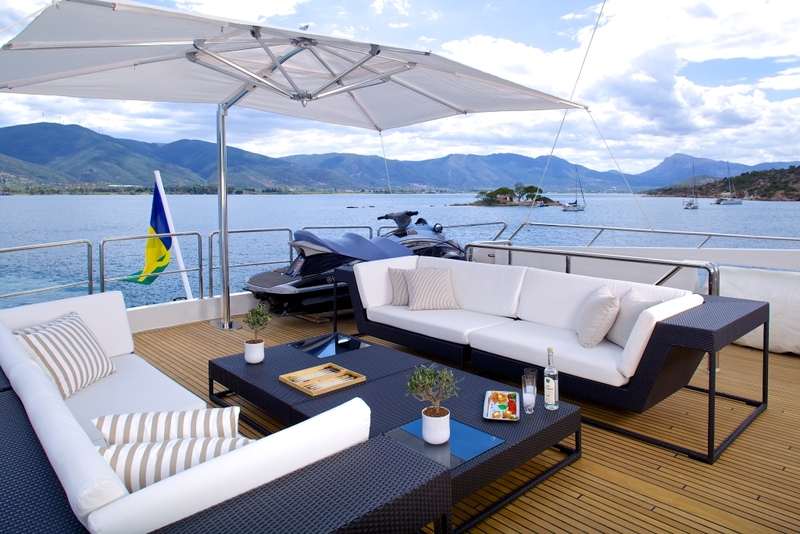 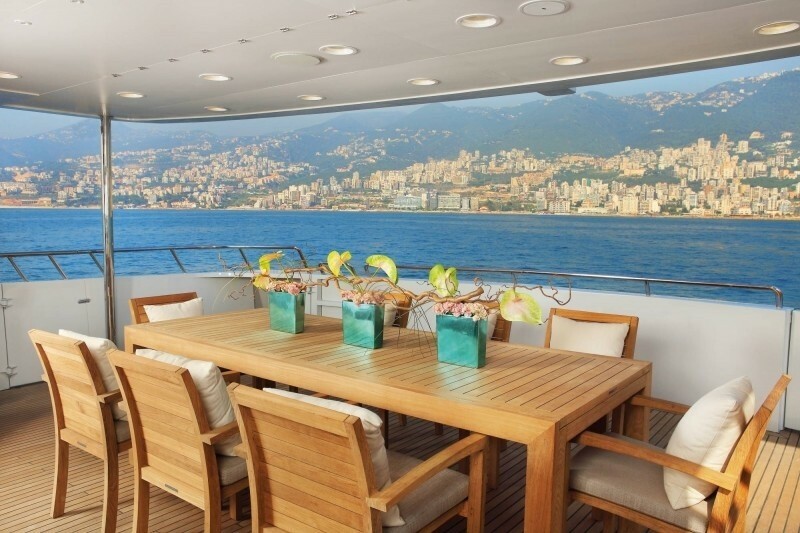 The lower deck aft offers alfresco dining area with great panoramic views. 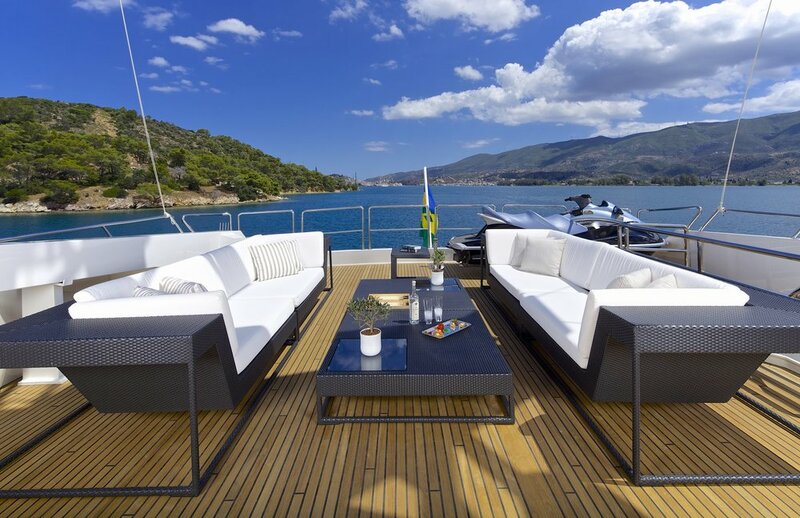 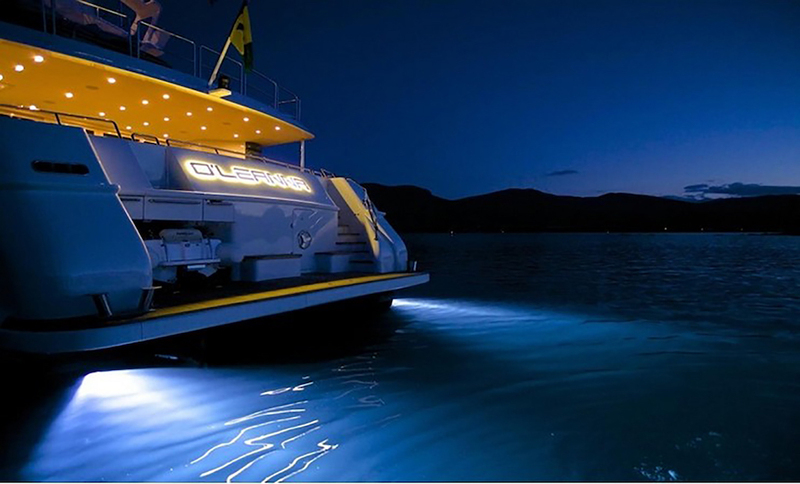 Built with aluminium hull and superstructure, this semi-displacement yacht is fitted with a pair of MTU engines and reach a top speed of 20 knots. 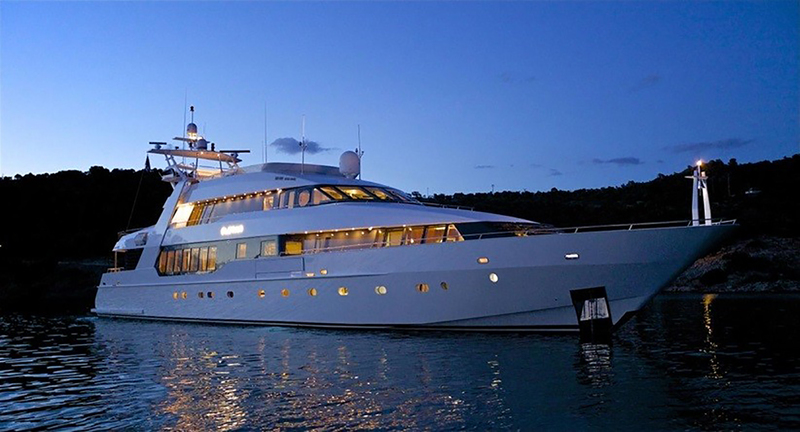 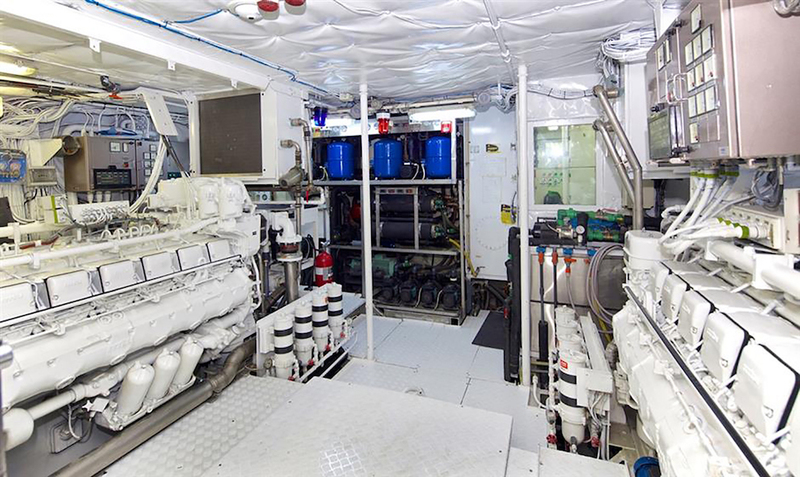 She cruises at 18 knots and has a range of 3,200mn, thanks to her 50,000 lt fuel tanks. 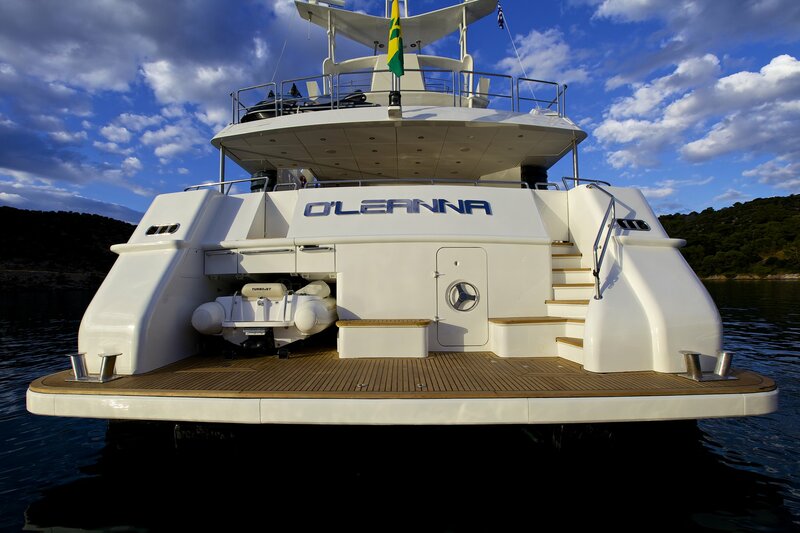 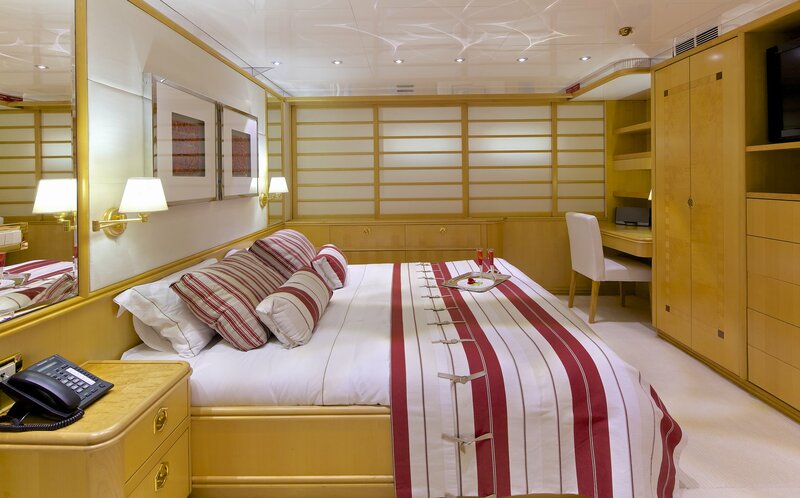 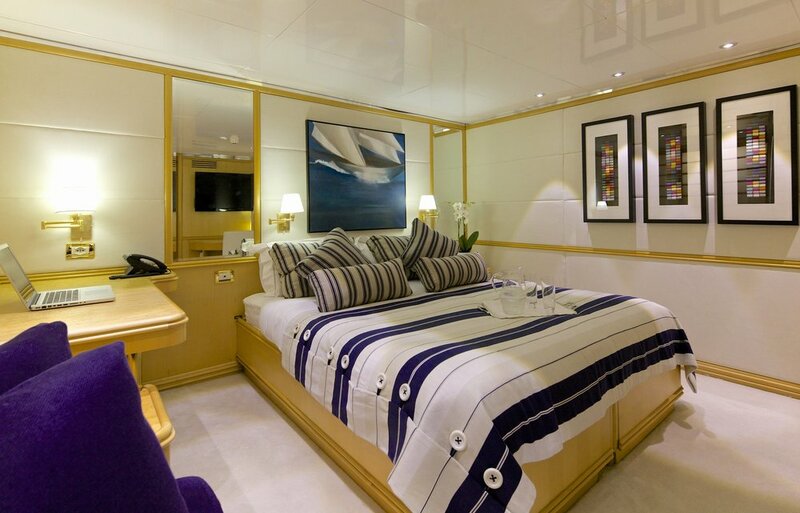 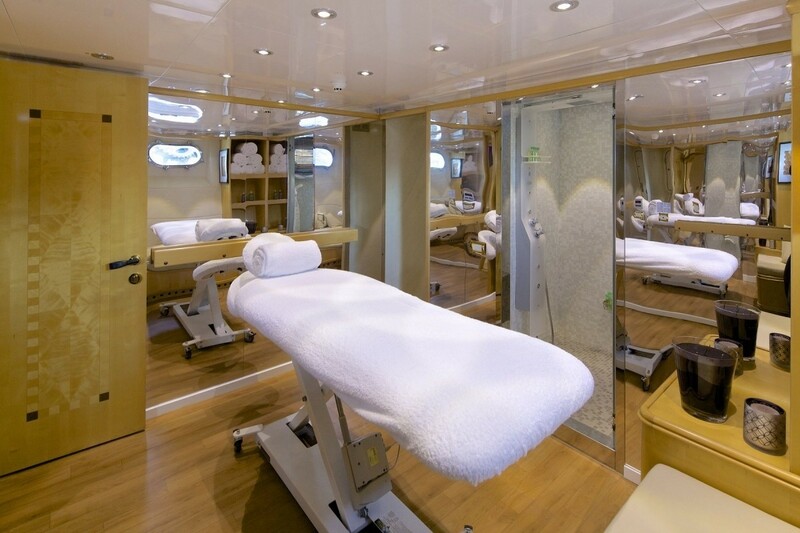 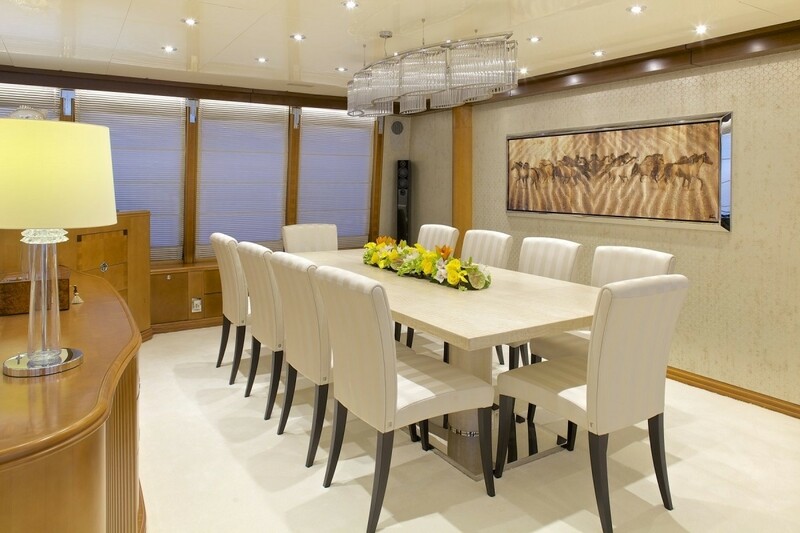 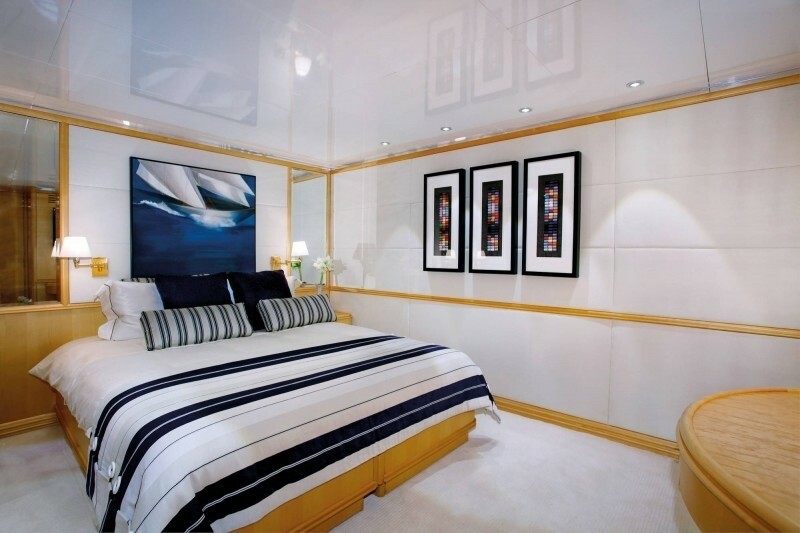 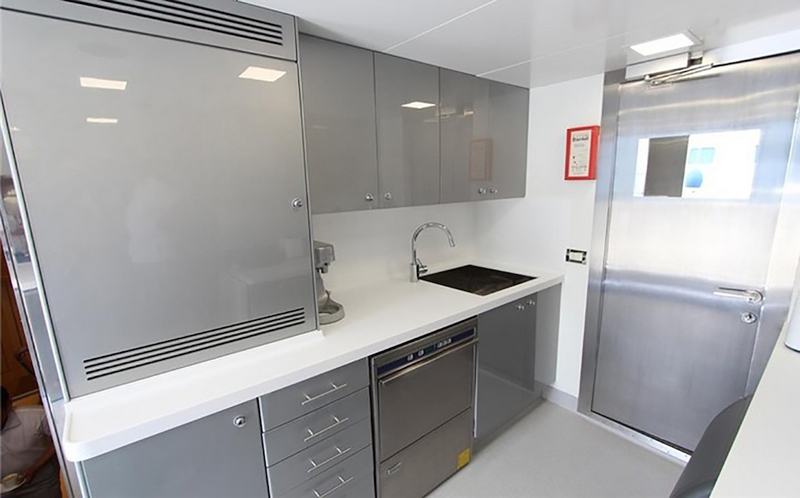 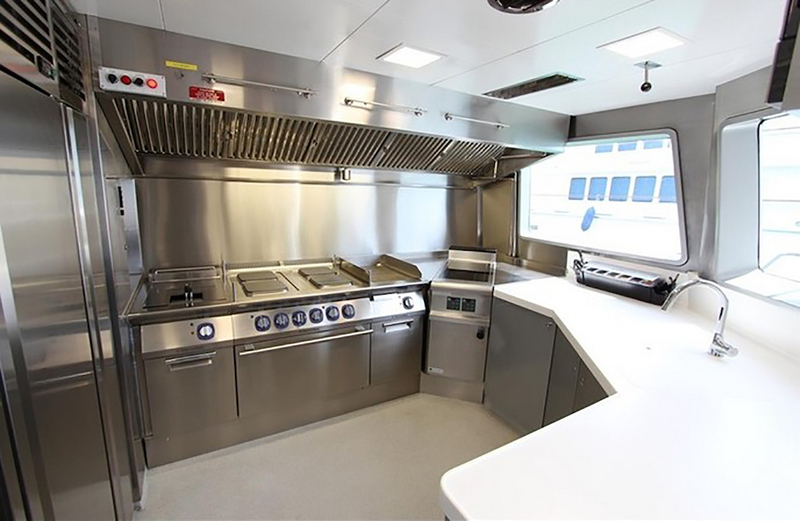 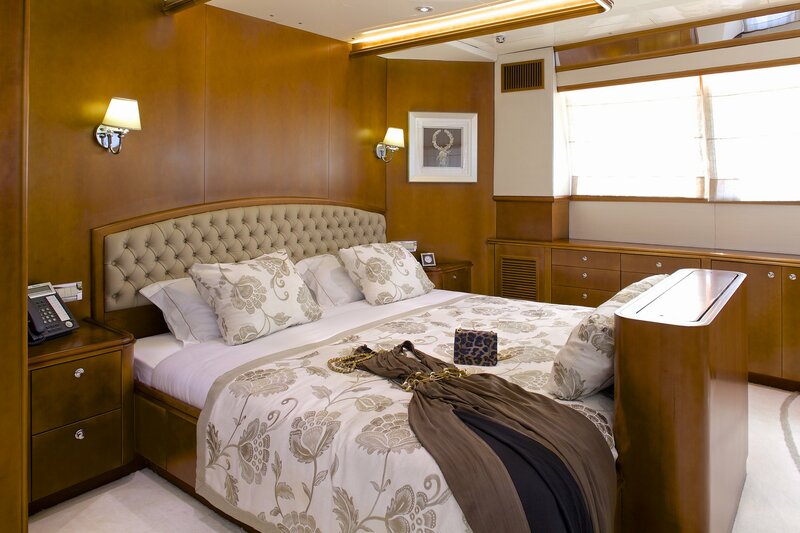 Spacious cabins of O'LEANNA can accommodate 12 guests in comfort. 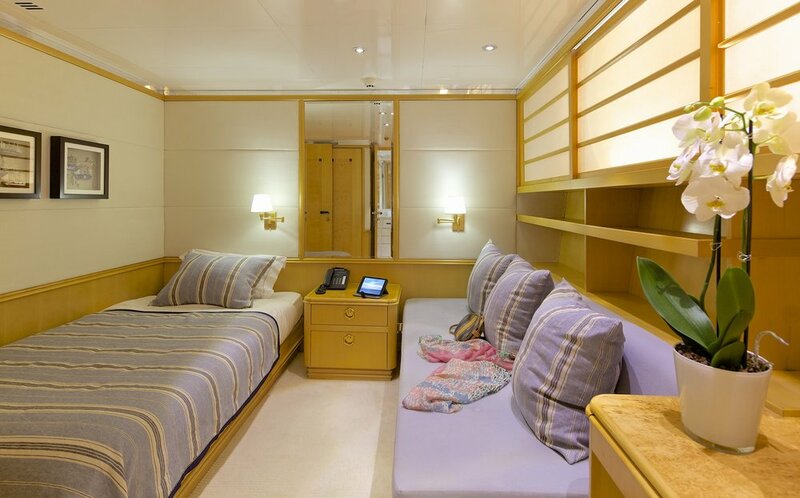 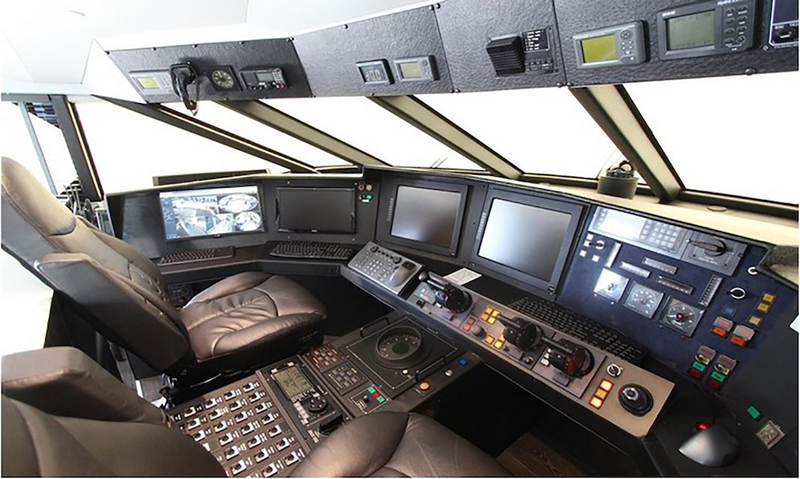 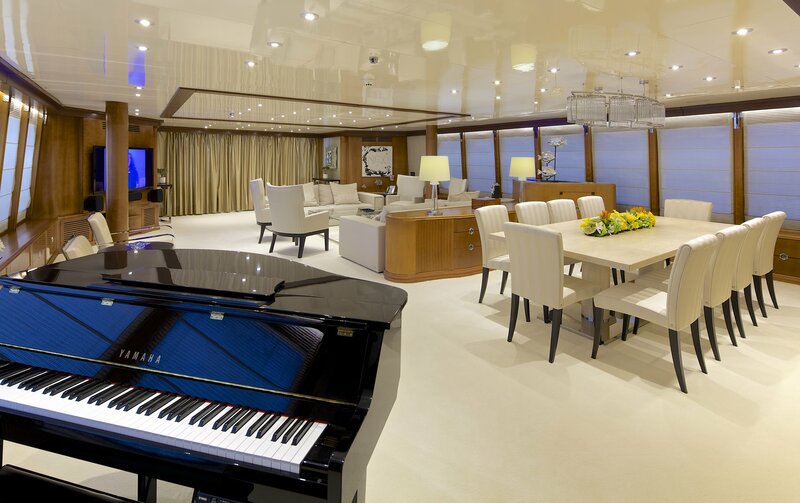 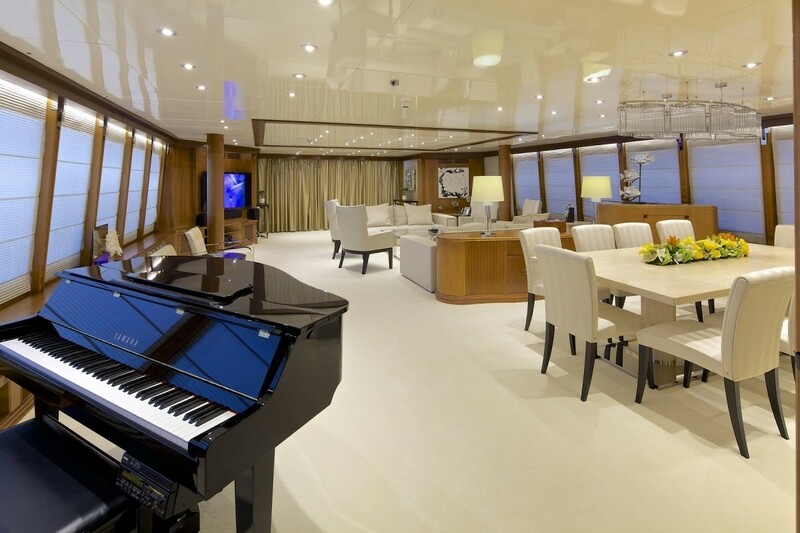 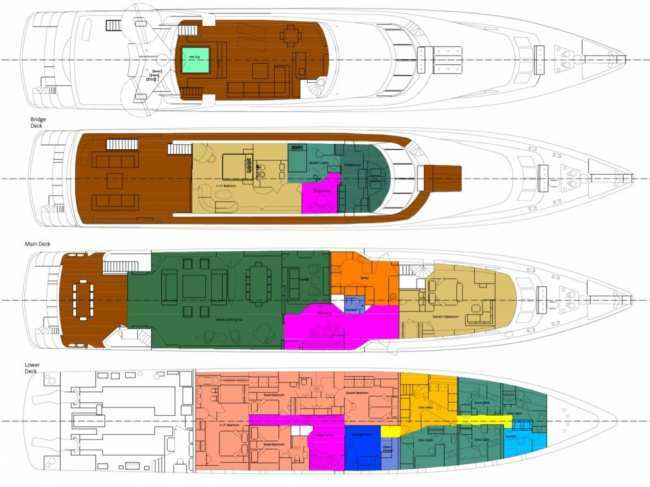 There are two master cabins: one on the upper deck and the other on the lower deck. 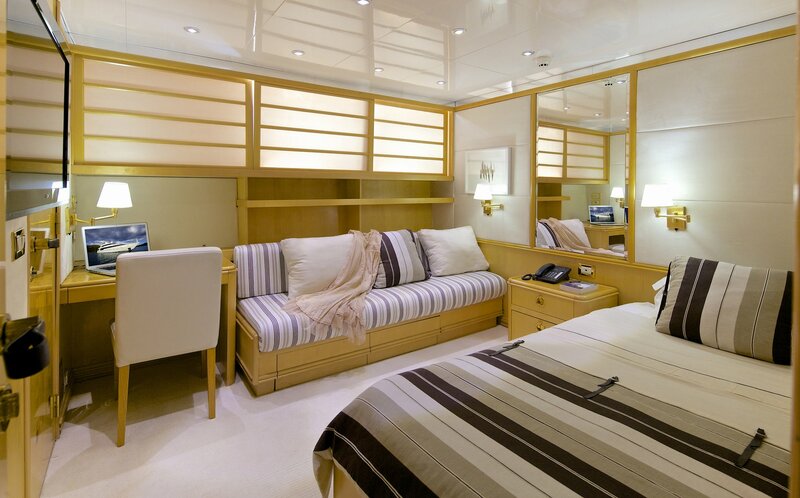 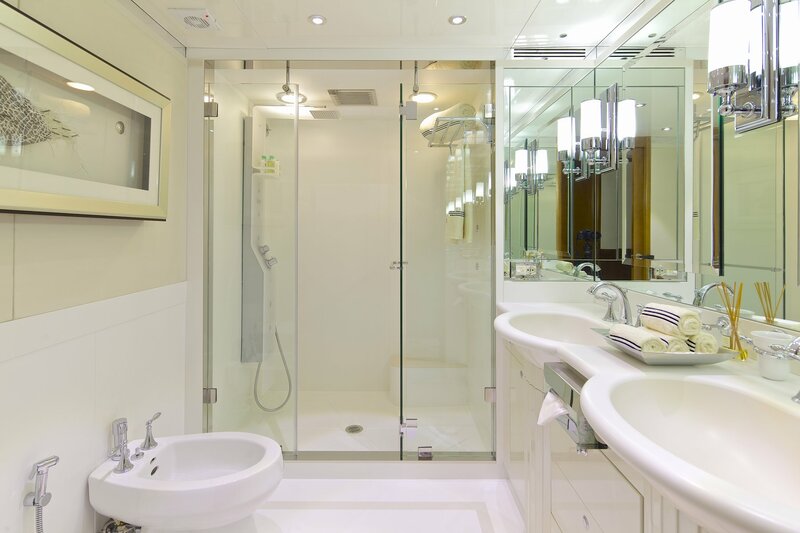 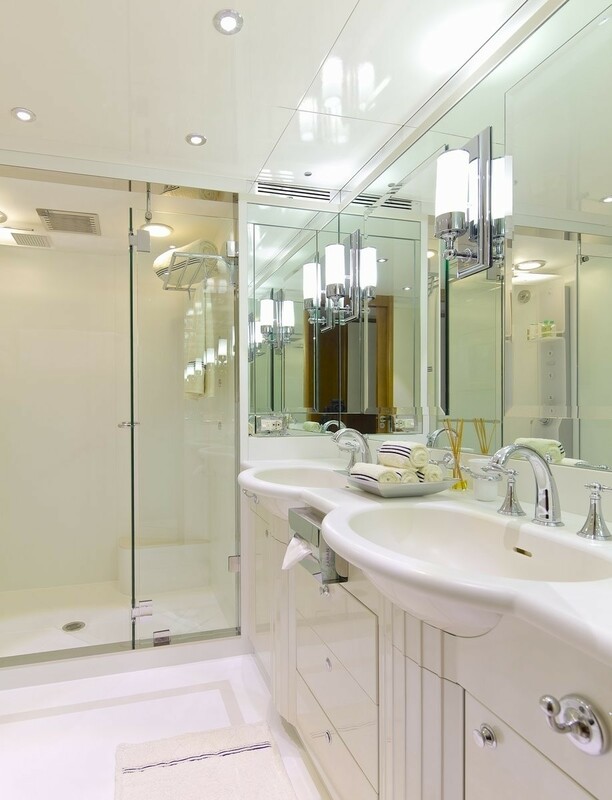 There are also two double guest cabins and two twin cabins.